The perks of living in the Digital Age are plenty. Computing technology has revolutionized communication, entertainment and work. The overwhelming demand for this technology has led to a similar demand for the knowledge of those behind the scenes in the industry. Dartmouth’s computer science department has certainly felt that demand. Enrollment in computer science courses has soared in recent years. Computer Science 1, “Introduction to Programming and Computation,” has become the College’s most highly-enrolled courses. Computer science professor Lorie Loeb, who is also the executive director and co-founder of Dartmouth’s Digital Arts, Leadership and Innovation Lab, has a unique perspective on the growth of the department. Even students with no prior intention to major or minor in computer science are enticed to do so by the department’s courses. Cara Van Uden ’19, who is a double major in computer science and cognitive science, discovered her appreciation for the subject after taking Computer Science 1. Neerja Thakkar ’19, another computer science major, had a similar experience when introduced to the computer science department through Computer Science 1. The constant innovation in computing technology may be one factor that lures students into computer science courses. The department utilizes new and evolving technologies in order to prepare students for the modern age. Despite the changes being made to keep pace with an ever-changing world, the department still prioritizes the underlying principles of computer science that have existed for decades. The department also understands the drawbacks of having large class sizes. In order to accommodate the growing number of students who become hooked by comptuter science, the department has made some necessary changes. Students have also noticed an increase in the number of teaching assistants hired by the department, which some believe may minimize the disadvantages of having a high student-to-professor ratio. Despite the high enrollment in many courses within the department, there is still a feeling among students that the department provides sufficient support for their academic goals. Van Uden agrees that, despite misconceptions from other students, learning computer science is not an insurmountable challenge for anyone. Responding to growing student demand is not the only way in which the department has modernized itself. Like in many of Dartmouth’s other STEM departments, computer science faculty and students have begun to emphasize the importance of gender diversity. In July 2017, education startup StudySoup ranked Dartmouth as the nation’s second-best computer science program for women. The Women in Computer Science program, of which both Thakkar and Van Uden are members, provides women with mentorship and support for their goals in computer science. 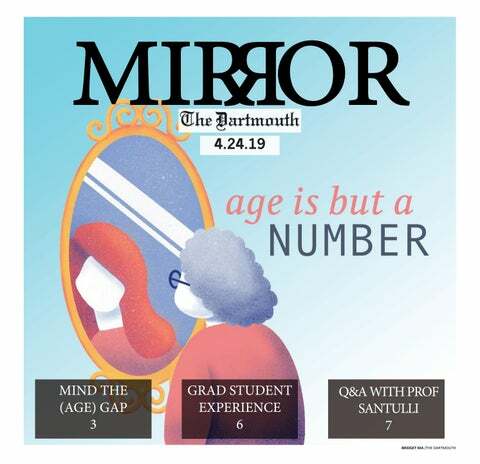 In a field that has changed in many ways, Dartmouth’s department of computer science has done its best to keep up with the times and guide its students. The department may be molding the future just as much as the future will mold the department.